Employees « The Law Office of Barbara A. Marcouiller, P.S. Employment-based immigration is a case of dual representation, which means the attorney owes duties to both the employer and the employee. The attorney cannot keep information secret between them. For example, if a prospective employee tells the attorney they have a criminal history the attorney cannot keep that information from the employer. So to avoid a potential conflict of interest, attorneys routinely make it clear to the employee that they represent the employer’s interests. Employees have a right to obtain independent advice, and they should do that. We have rescued cases in which an employer’s lawyer filed to extend the status of the employee but forgot about the employee’s spouse. We have also assisted employees who did not understand why their case was taking so long to file, and the employer’s lawyer refused to communicate with them. They deserved responses to their concerns. Marcouiller explained the process the employer needs to go through, and discussed it with the employees. After being able to talk with us, the employees understood the answers to their questions, and were reassured. They continued with the employer. Recently we assisted an employee to prepare a response to an RFE on an I-140 petition. After waiting years for the priority date to become current, USCIS questioned the employee’s underlying education and experience, along with other problems. Marcouiller determined based on international business background that the term “Engineer” was being used as a title not a field of study and that was a cause of confusion. We were able to prepare a detailed point-by-point response to the RFE along with 216 pages of evidence, which we then sent to the employer’s lawyer at a firm in Chicago to submit. The petition was approved just days later. On another occasion an employee came to us when the lawyer for his prospective new employer in California told him the change of status they wanted to do would work, but USCIS’s own website said it would not. We pulled the actual regulation itself. The employer’s lawyer was correct, and the USCIS website, though we understand how they were approaching it, did not word it correctly. Taking the time and having the ability to examine the exact actual regulation provided the answer. The prospective employee felt much better about accepting the position. Although avoiding a potential conflict of interest is an important concern, employees in fact are a part of these cases. They know their exact education and experience better than anyone, and those qualifications are critical to the case. Also, their prior stays in the U.S. and proving their status during each time is also critical. We’ve seen an unfortunate situation in which an employer’s lawyer did as they generally do and did not engage with the employee. The employer paid many thousands of dollars for the attorney, as well as to advertise the position, government fees, and much more. All was approved . . . until the employee was denied a visa due to his having accrued more than 6 months of unlawful presence in the U.S. (See our blog post on this point.) That employee never was going to qualify to obtain the visa. In our opinion that was something that ideally should be known prior to doing the case. If you feel that you have important information the employer’s attorney is not considering, because they won’t deal with you, or you have questions, we are happy to talk with you. 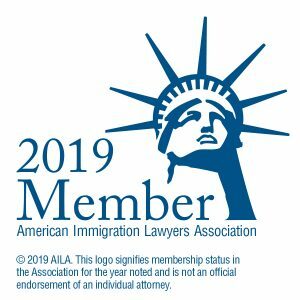 Maybe you want to talk with an experienced immigration attorney to answer your questions; maybe there was an RFE in your case that pertains more to questions about you than the job, and you need assistance to present the right information to the employer’s lawyer. Contact us. We are happy to engage with you.